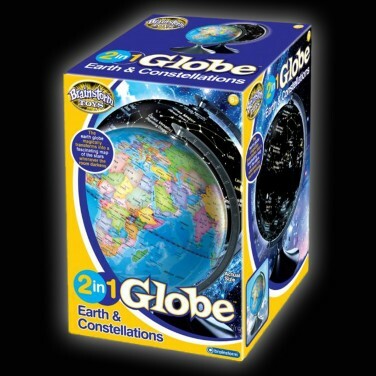 Star consetellations and political boundaries rarely go together, but this earth and constellation globe gives you the best of the heavens and the earth! 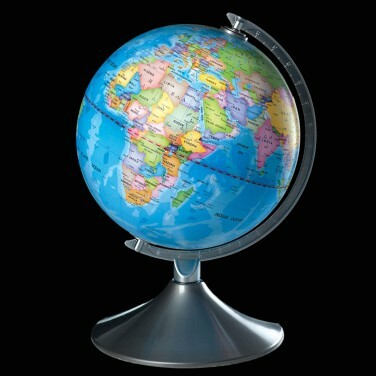 In daylight this globe shows a world map with political boundaries, natural features and major cities at a scale of 1:60,000,000. 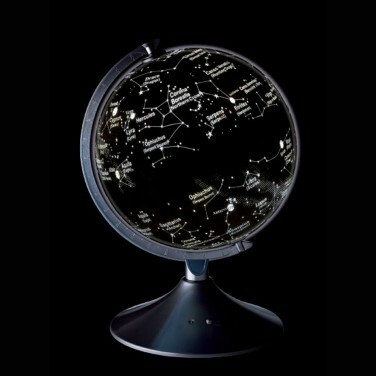 By night the illuminated star map shows 88 constellations with their common names. 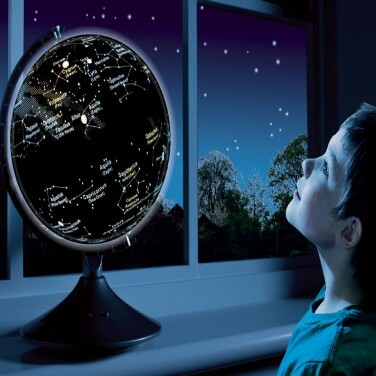 A light sensor automatically switches the globe to night view when darkness falls. A fascinating tool for geographers and astronomers alike.